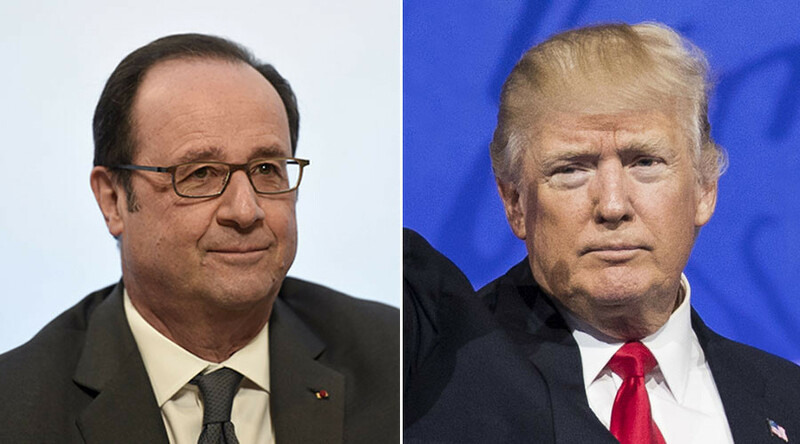 French President Francois Hollande has criticized Donald Trump over remarks the US president made about the security situation in France and, in particular, Paris. Speaking at the annual agriculture fair in Porte de Versailles exhibition center on Saturday, French President Hollande told reporters that allies should not speak ill of each other to the press. "There is terrorism and we must fight it together. I think that it is never good to show the smallest defiance toward an allied country. I wouldn't do it with the United States and I'm urging the US president not to do it with France," Hollande said. His comments came in response to the US president referring to a supposed disintegration of France, and Paris in particular, following deadly terror attacks in the last number of years. Within his retort, the French president also emphasized the rarity of gun crime in France relative to the United States. "I won't make comparisons but here, people don't have access to guns. Here, you don't have people with guns opening fire on the crowd simply for the satisfaction of causing drama and tragedy," he added. Also irked by Trump’s comments Paris Mayor Anne Hidalgo took to Twitter with a wry, tongue-in-cheek rebuke of President Trump and his friend Jim, highlighting the absurdity of their concerns about the security situation in France by posing with Minnie and Mickey mouse at the Eiffel Tower. French Foreign Affairs Minister Jean Marc Ayrault also responded to Trump via social media, adding that 3.5 million American tourists did not share the US President’s misgivings about France in 2016. Speaking at the the CPAC event in Maryland on Friday, Trump discussed his friend ‘Jim’ who he described as "a very, very substantial guy" who visited Paris regularly with his family. "It was automatic ... He wouldn't miss it for anything," he said. However, in light of the recent terrorist attacks in France, Trump stated that “Paris is no longer Paris,” and his friend Jim is not comfortable taking his family on vacation there. "Now he doesn't even think in terms of going there. Take a look at what's happening to our world folks and we have to be smart. We have to be smart. We can't let it happen to us," Trump said at the conservative rally.